Grill like a Pro with the new Homcomfort Pellet grill with Smartfire Technology. Smartfire technology automatically adjusts the internal cooking temperature to your desired setting while taking into account the outdoor ambient temperatures to ensure your food is always grilled to perfection. 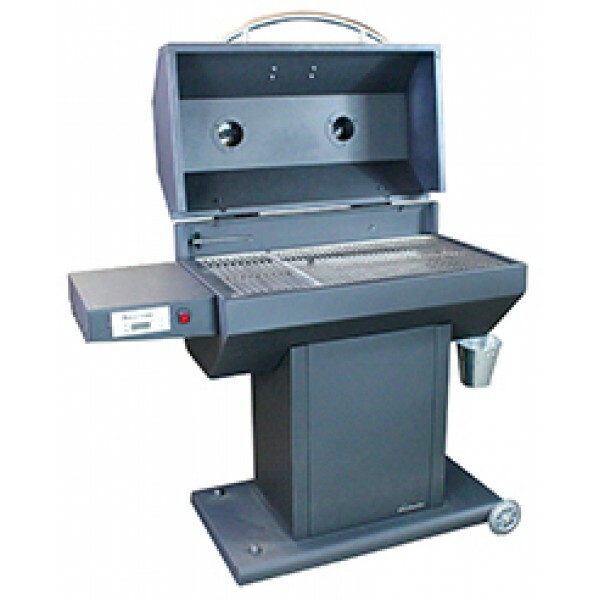 It automatically adjusts the fuel feed rate to provide a perfectly steady temperature throughout the grilling time. Unique to the Homcomfort line, this grill also includes an electric Searing station to lock in the flavors of your meats. Homcomfort grills also feature a unique grease removal system that helps keep cleanup and maintenance a breeze. Pellet smokers are set apart from traditional offset smokers since the Smartfire technology allows you to set the cooking temperature (just like your oven) to the perfect temperature for any meat, and maintain a very even heat across the entire cooking time, whether its 1 hour or 8 and even longer.